Being one of the leading companies, we are involved in offering a wide variety of Swirl Diffusers to fulfil the requirements of our clients. These products are strong and sturdy in nature and offer high level of performance with optimum results. Advanced technologies and modern machines are used while fabricating these products. We ensure timely delivery of our products. Tresa Electro Mechanical was established as a proprietorship unit in 2005 at Mangadu, Chennai, Tamil Nadu, India. 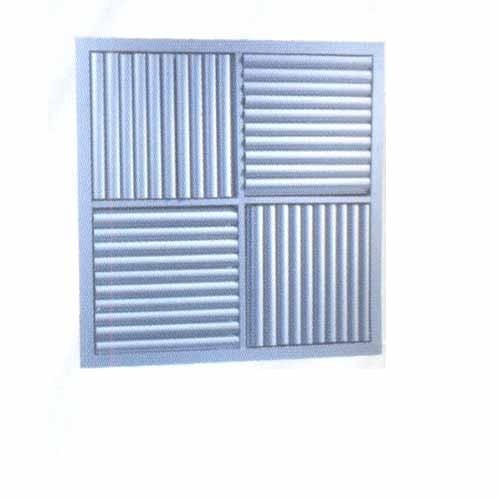 The firm has been manufacturing and supplying Air Handling Units, Air Conditioning Ducts, Protective Grilles, Fire Fighting Systems, Fire Alarm Systems, Round Diffusers, Board Diffusers, Industrial Dampers, Air Diffusers & we also provide Maintenance and Installation Services for all its products. These products are manufactured by using the material of premium quality and in confirmation with the specific quality standards and norms. Our products stand high in terms of quality and can be availed at reasonable prices. Mr. M. Shankar, the proprietor of the firm is professionally qualified with a lot of experience has ably taken up all the activities most efficiently and effectively. The experienced workmen employed are extremely dedicated and talented in their domain.